This activity shows Dermestid beetles assist in the breakdown of dead organic matter. Simply allow them access to the freeze-dried frog provided. 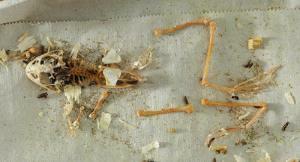 In approximately two weeks, you will have a clean frog skeleton. 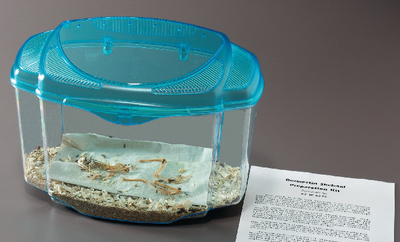 A freeze-dried frog is provided, ensuring a clean specimen without the odor. Ordering information: This item contains a coupon for live or perishable materials. Please provide a date that the live or perishable components will arrive.